The creamy green flesh of an avocado supplies heart-healthy unsaturated fats, fiber, potassium and vitamins C, K, B-6 and B-9. You can use it in place of mayonnaise or cheese on a sandwich or mashed it up for a dip. However, if you cut it open and there are brown spots -- or if it turns brown after preparation -- you don't want to eat the discolored areas. 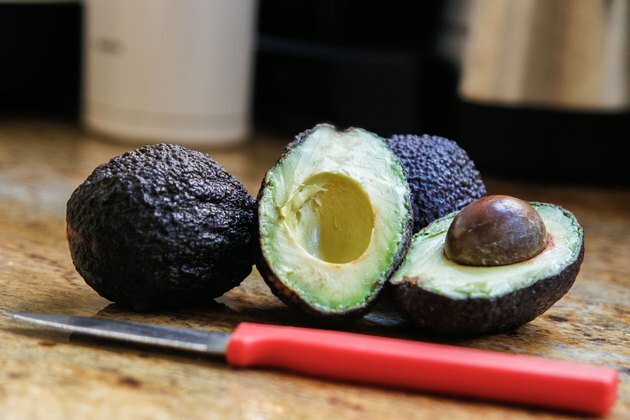 If an avocado has been exposed to cold temperatures for too long before it ripens, the flesh may be discolored with brown or black streaks or spots. These spots can also appear after rough mishandling. Although they aren't harmful -- and they can't be detected before cutting into the avocado -- you should cut them out and discard them before eating the green portions of the flesh. After mashing an avocado and letting it sit, the flesh can oxidize due to exposure to air. 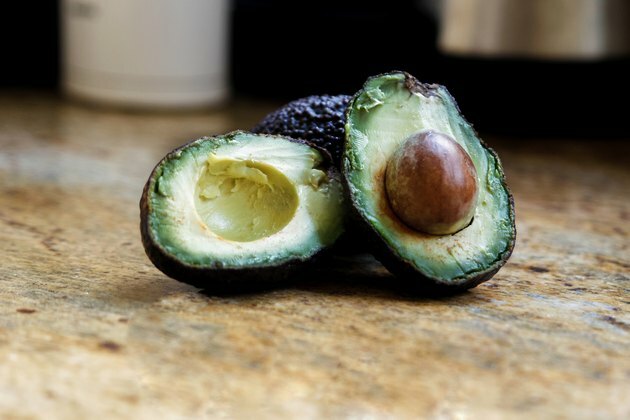 The oxidation causes the avocado to turn brown and take on a rancid odor. However, you can scrape off the top layer and eat the green portion underneath. To avoid oxidation, cover the avocado with clear plastic wrap or place it in an airtight container and store it in the fridge.